His many lies are not accusations, they've been proven. I didn't think you believed in God. Is so; you have strange things to pray for. DID YOU HEAR THE SILENCE WHEN HE SAID THAT HE SHOULD NOT BE INVESTGATED .His words were "IF there is peace and legislation. 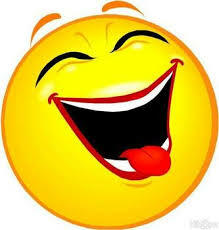 There can not be war and investigation" He said "It just doesn't work that way" Trump was met with laughter a few lonely claps and then came steely silence as Trump look at lawmakers. The sound of silence was the sound of Trump losing the GOP Lawmakers and slowly his base. That's what I saw and heard. I see, so you just don't either believe in facts or that they actually exist. But they do. Historical records can be checked, anything from the past is history even if was a minute ago. Facts are also proven by numbers, these things are facts and not opinion. For example, every time he says," the most ever" can be checked and it has been. "DID YOU HEAR THE SILENCE WHEN HE SAID THAT HE SHOULD NOT BE INVESTGATED .His words were "IF there is peace and legislation. There can not be war and investigation""
That is the ONLY thing the Dems can cling to. He did so many things that were just plain wrong, in his speech...but no surprise. Actually correction, he did surprise us toning down his rhetoric. 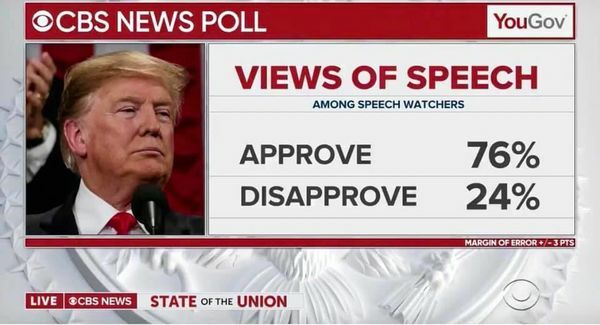 You are in the vast minority about the SOTU speech. Again you had one silelnt moment to cling too. The one takeaway from that crude Stephen Miller speech--apart from the lies and exaggerations--was the statement that there will be no further legislation if the Democrats in the House investigate him. Like that warning is going to be anything but laughed at. Uh, hey there jimi....it was listed as a CBS poll with a 76% approval rating. Figure it out yourself dude. And by the way, I challenge you to prove ANYTHING to be false that Drudge reports. The day Drudge starts reporting truth is the day its readers will go find another garbage pit. Prove anything reported by Drudge to be false. I won't hold my breath kemmy.